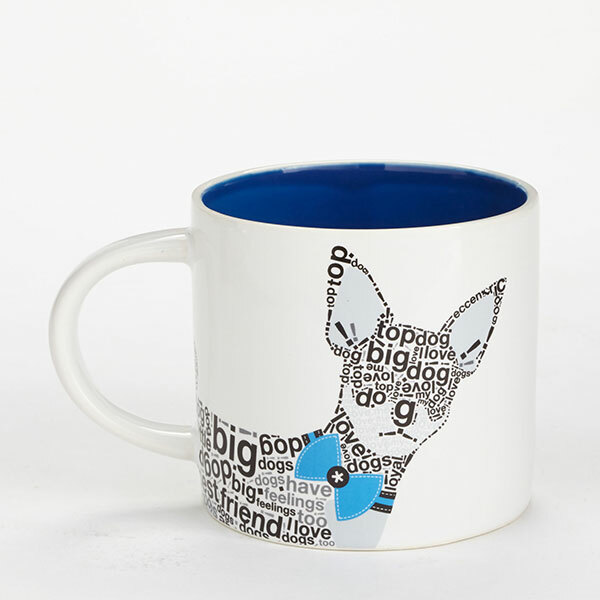 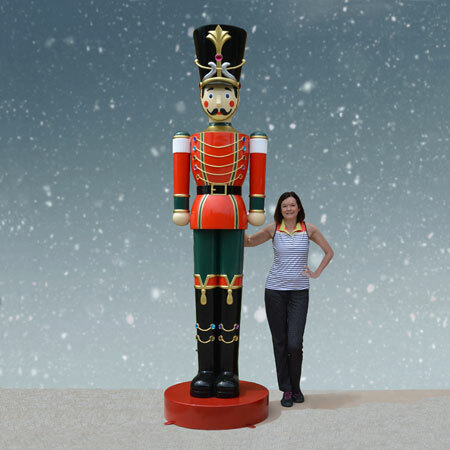 Call 1 (888) 900-2070 for details. 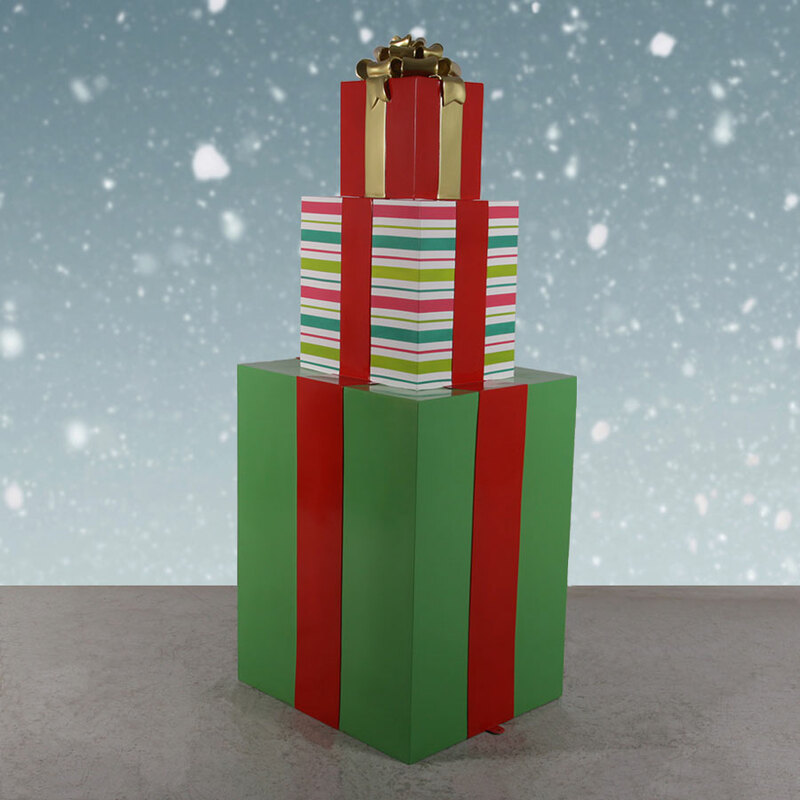 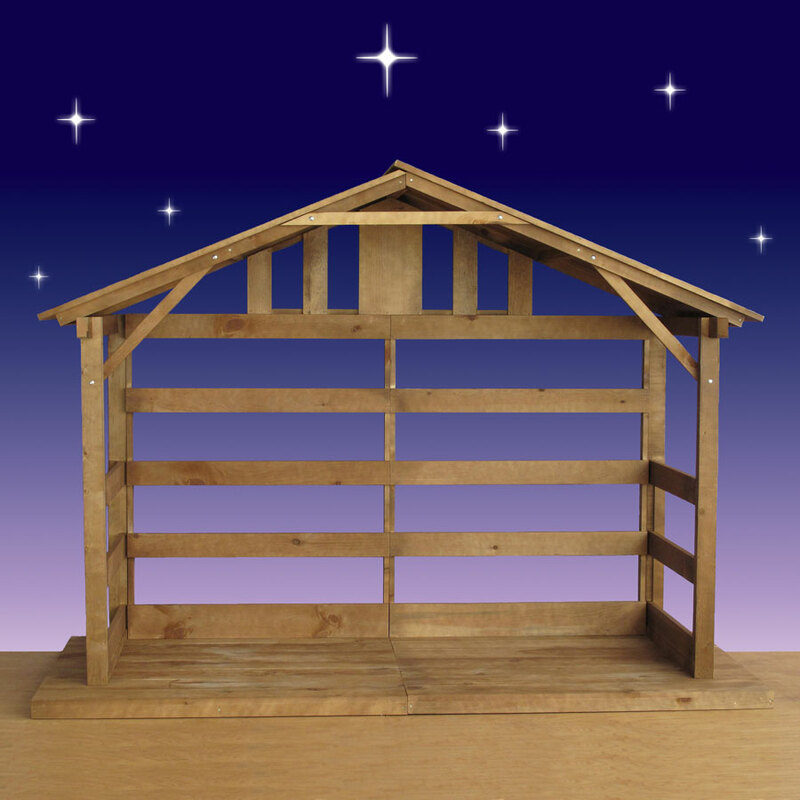 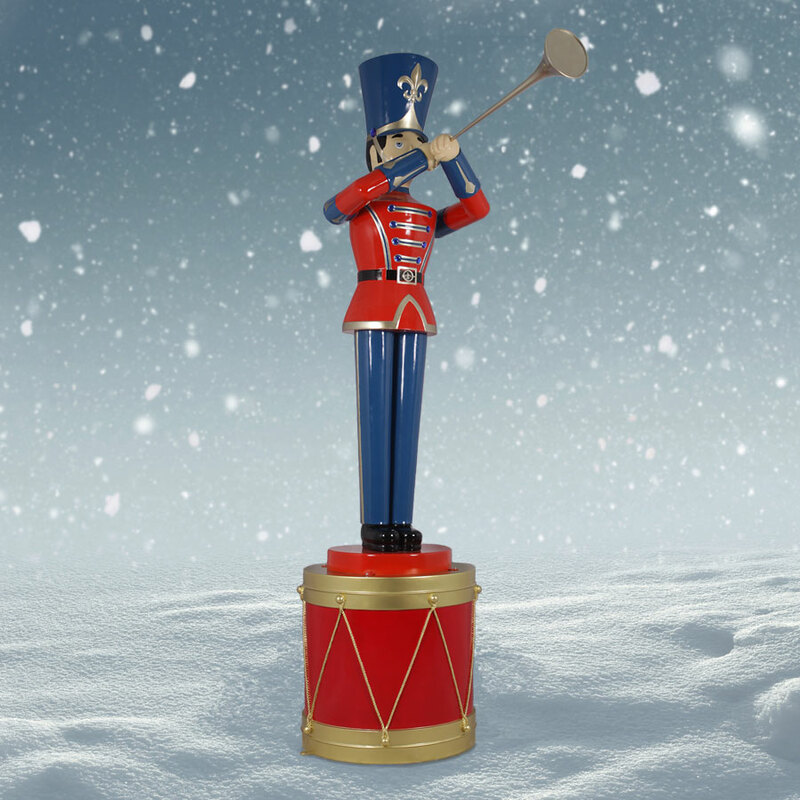 How much music do you need at Christmas? 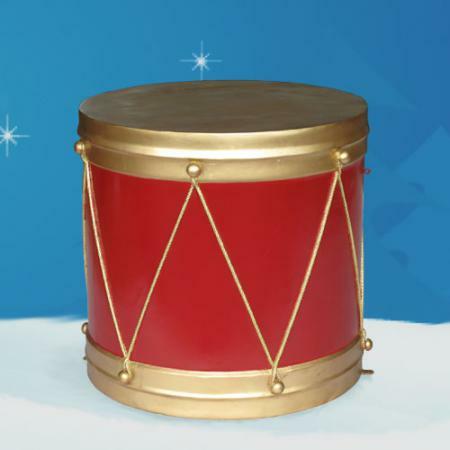 All of it! 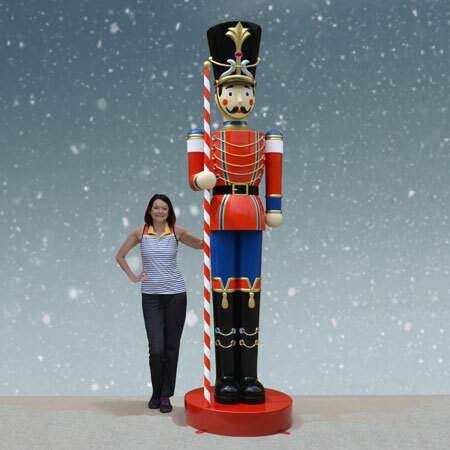 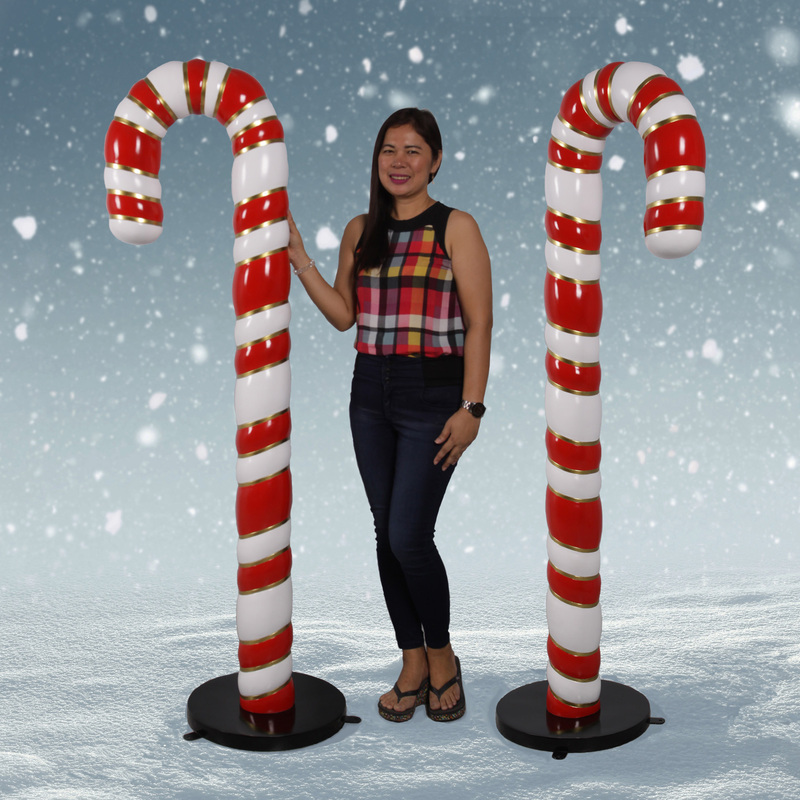 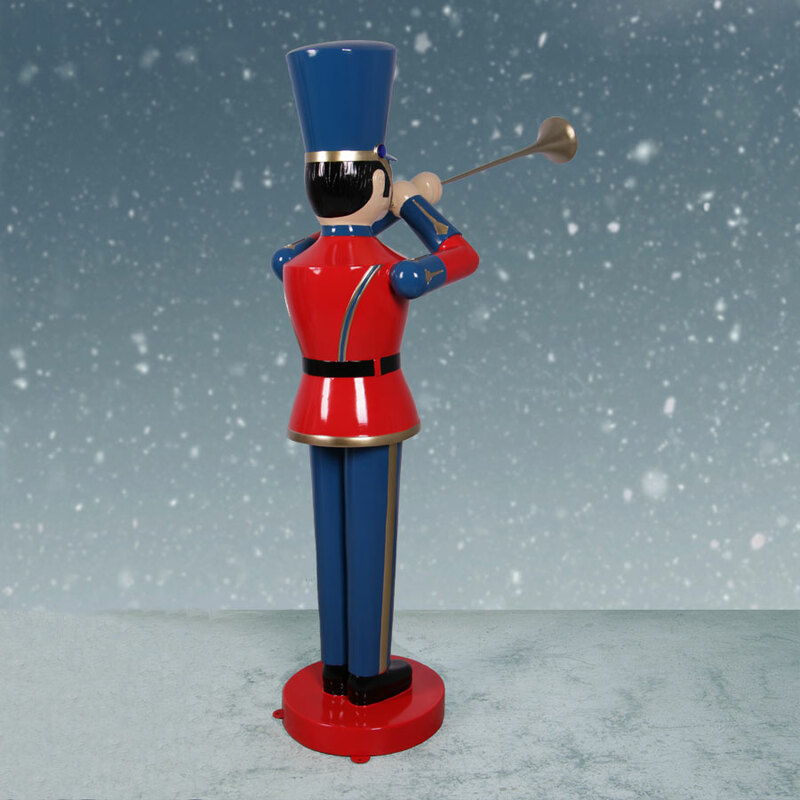 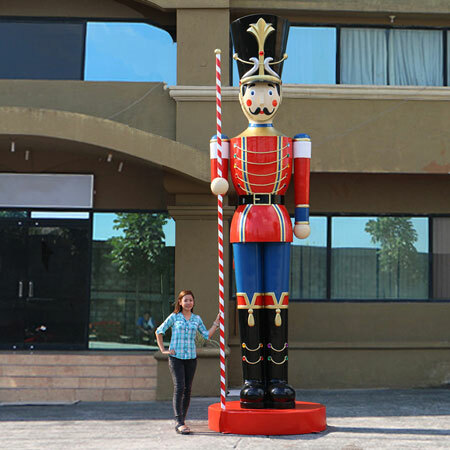 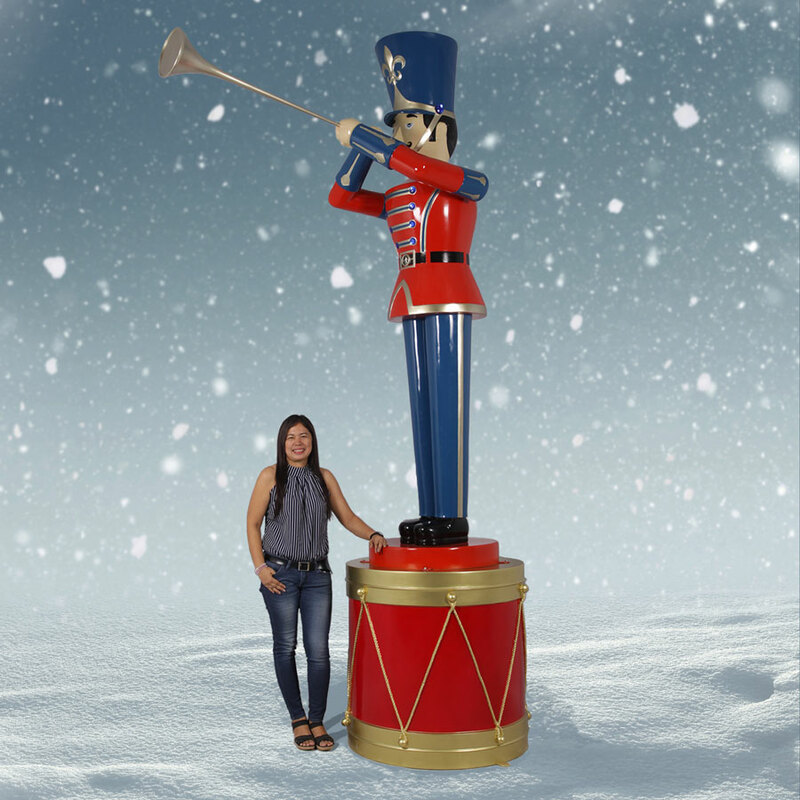 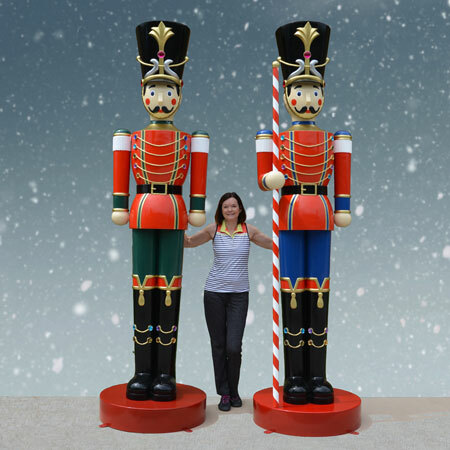 Heinimex designed and manufactured this Giant Toy Soldier with Trumpet on Drum to be the most compelling part of large-scale displays at hotels, parks, convention centers, amusement parks and more. 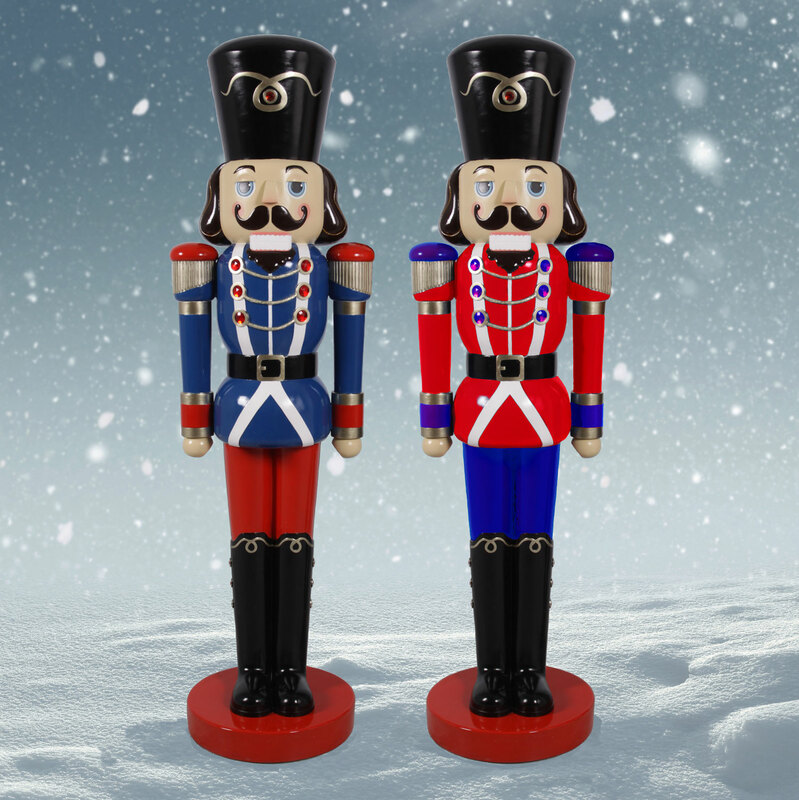 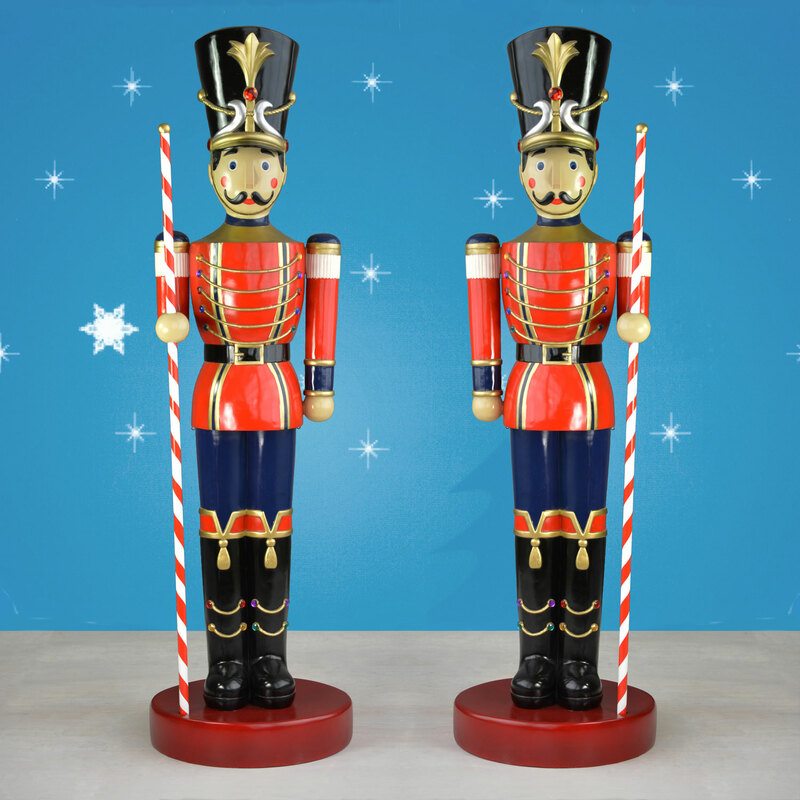 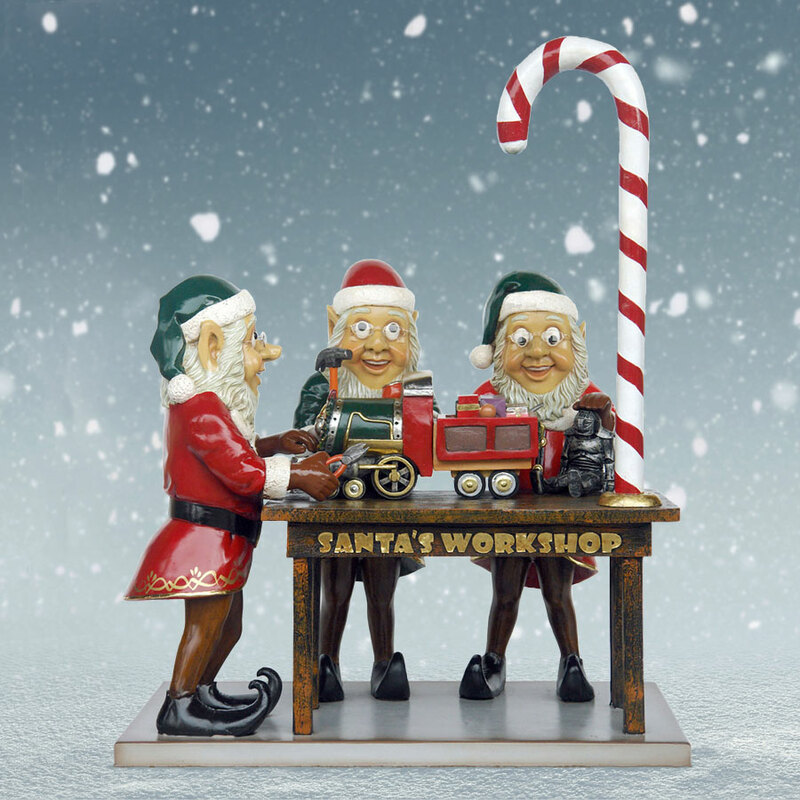 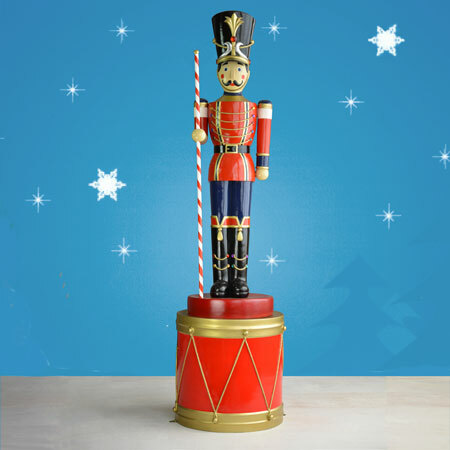 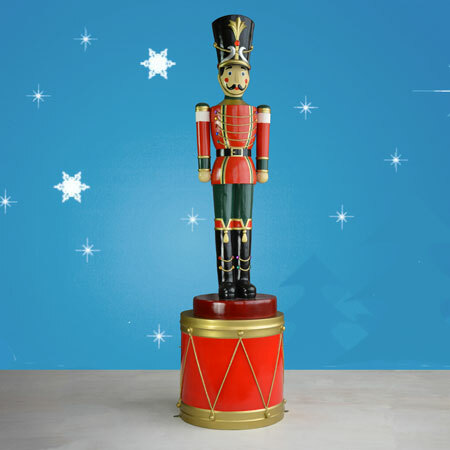 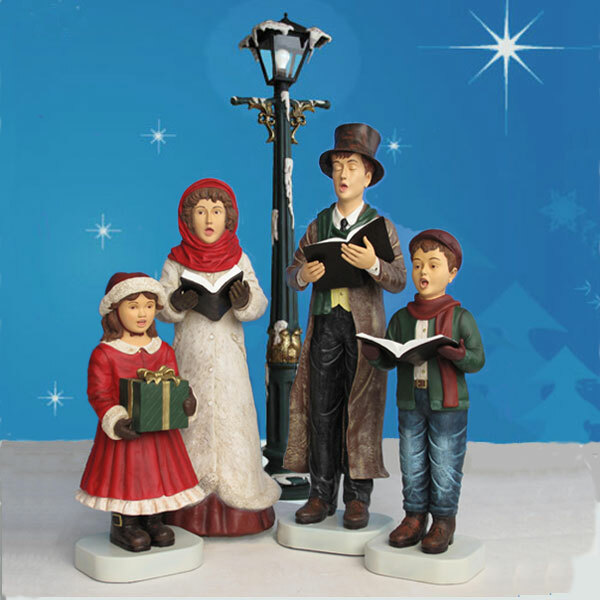 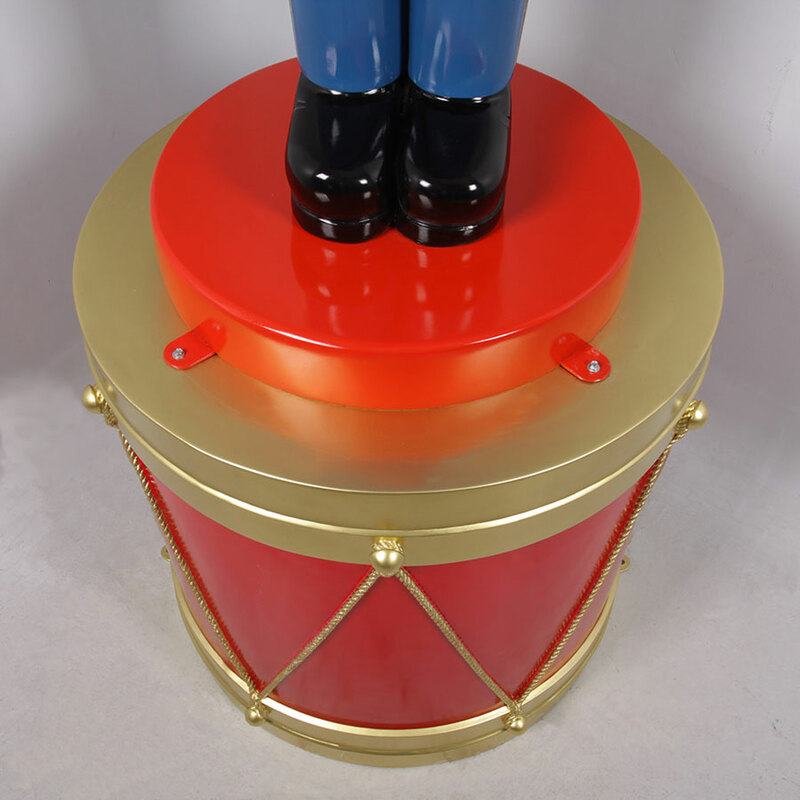 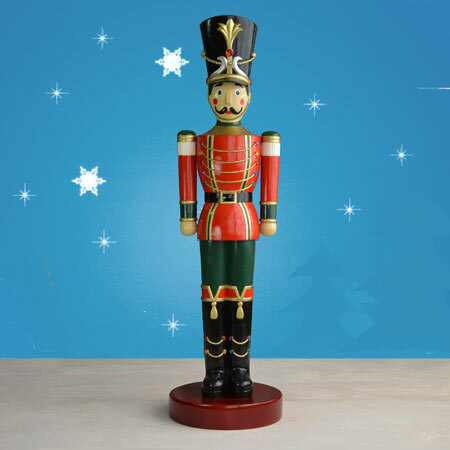 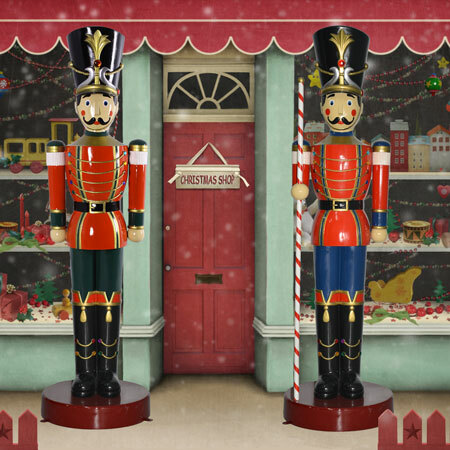 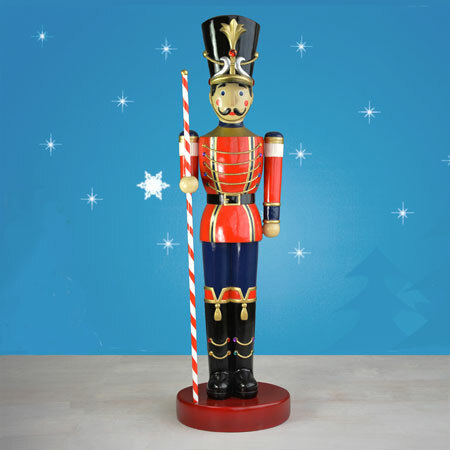 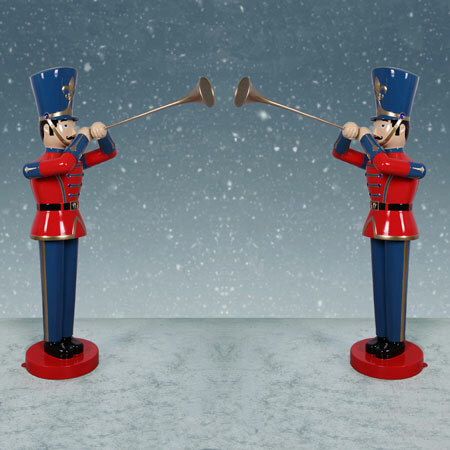 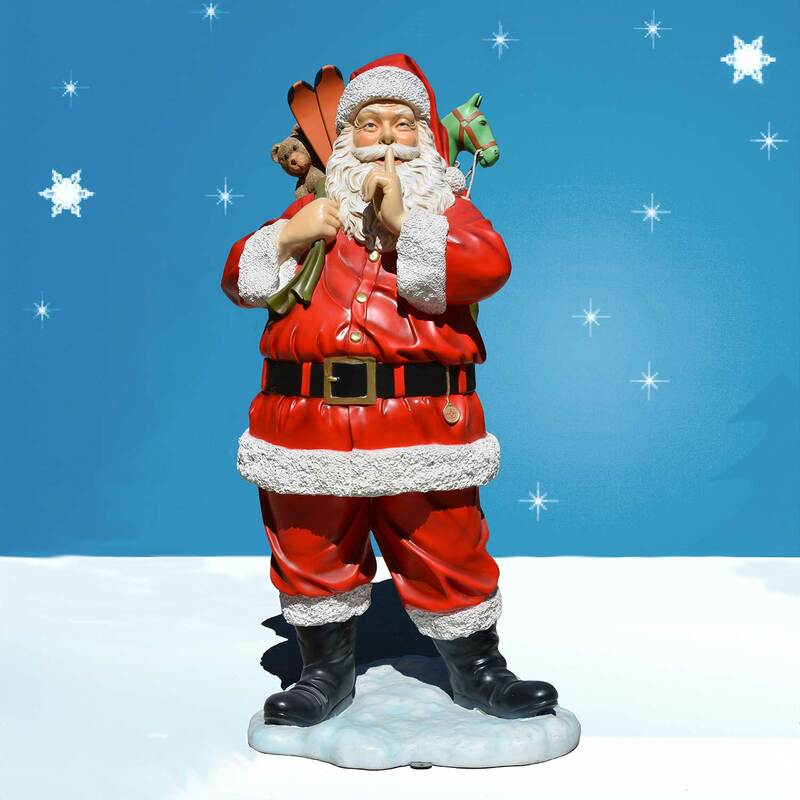 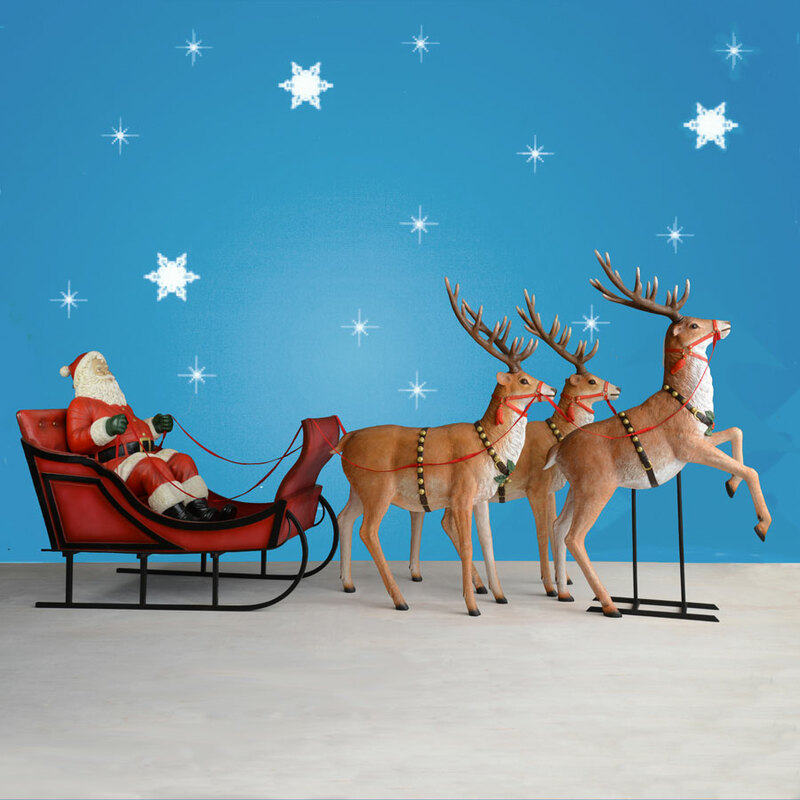 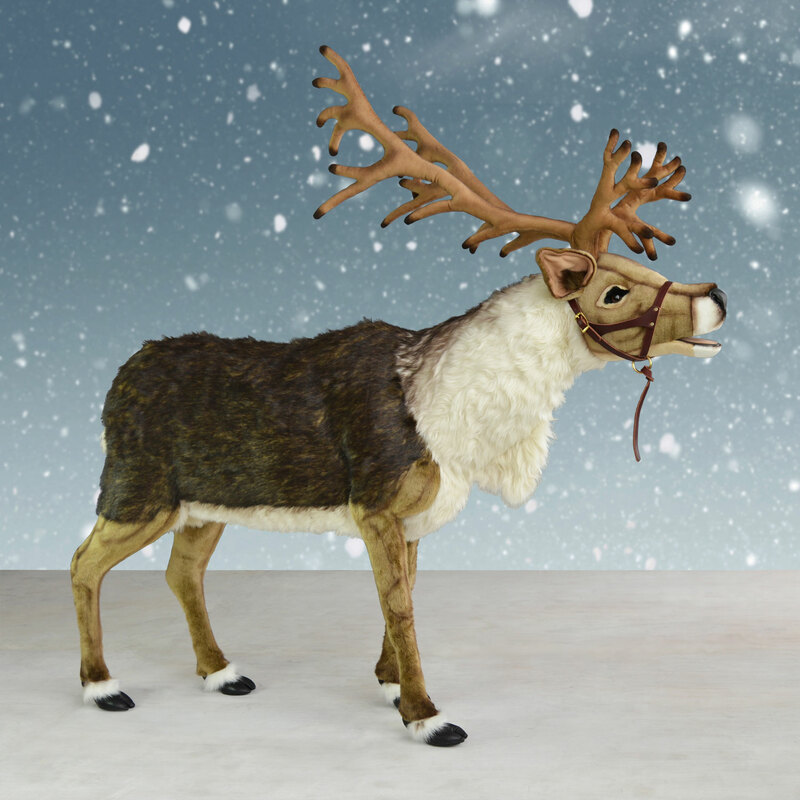 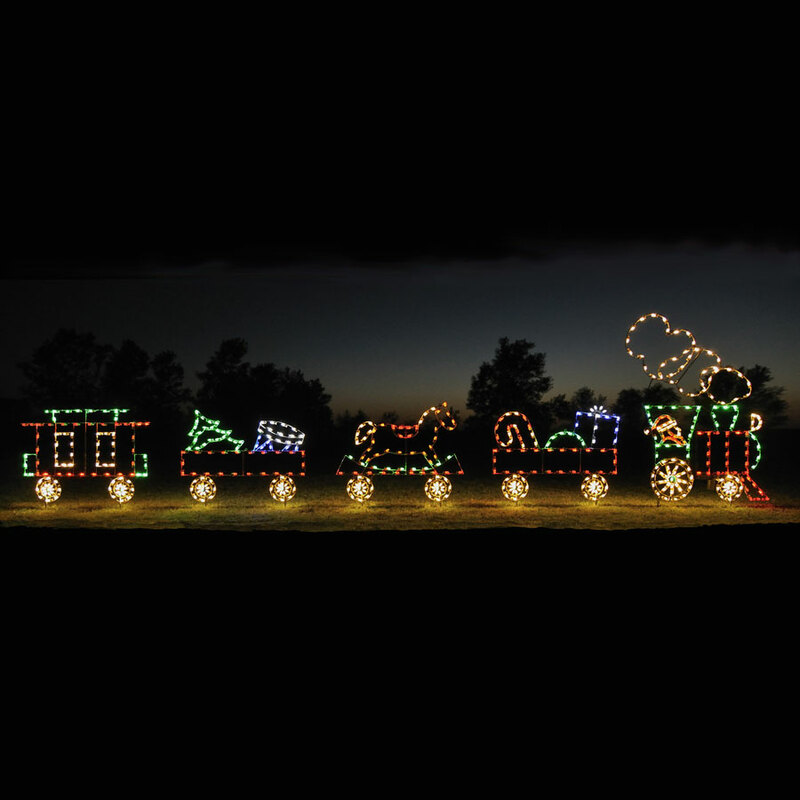 It includes our 9-foot Toy Soldier with Trumpet and a 3-foot Display Drum for a whopping 12-foot total height. 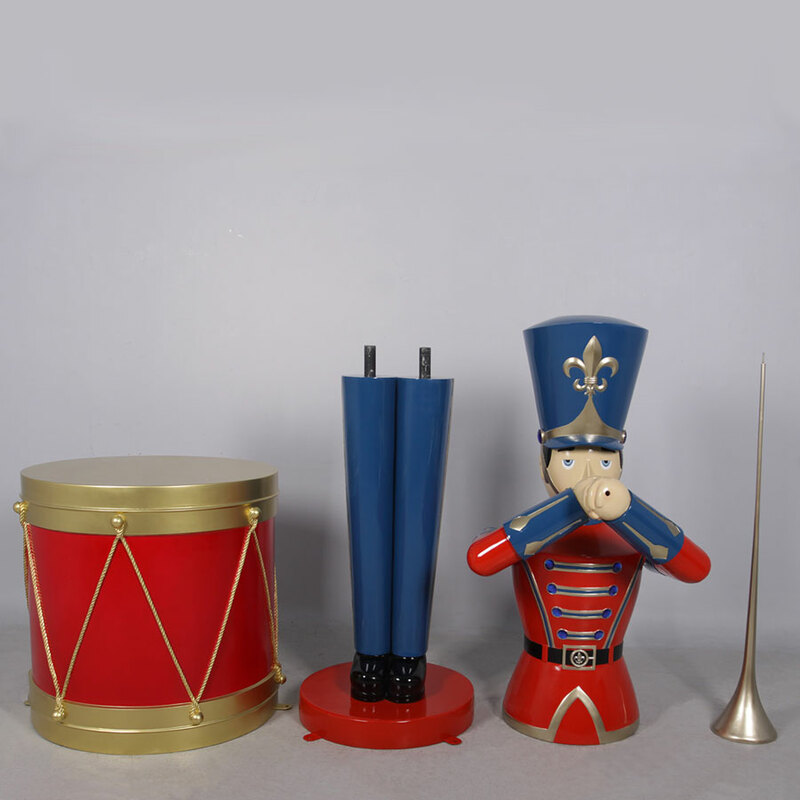 Use the mounting plates to assemble them or stage the two separately. 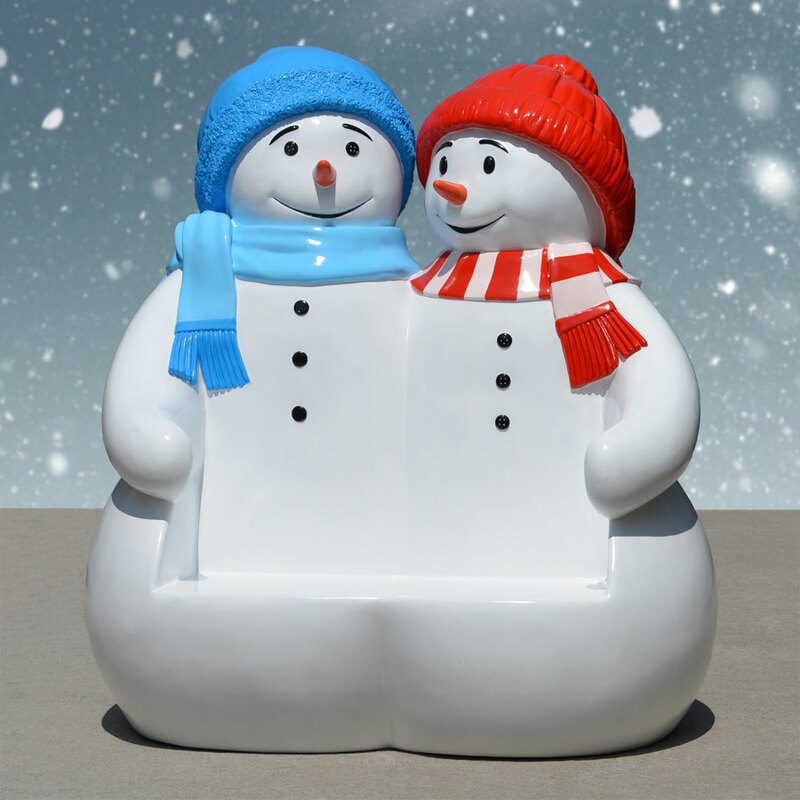 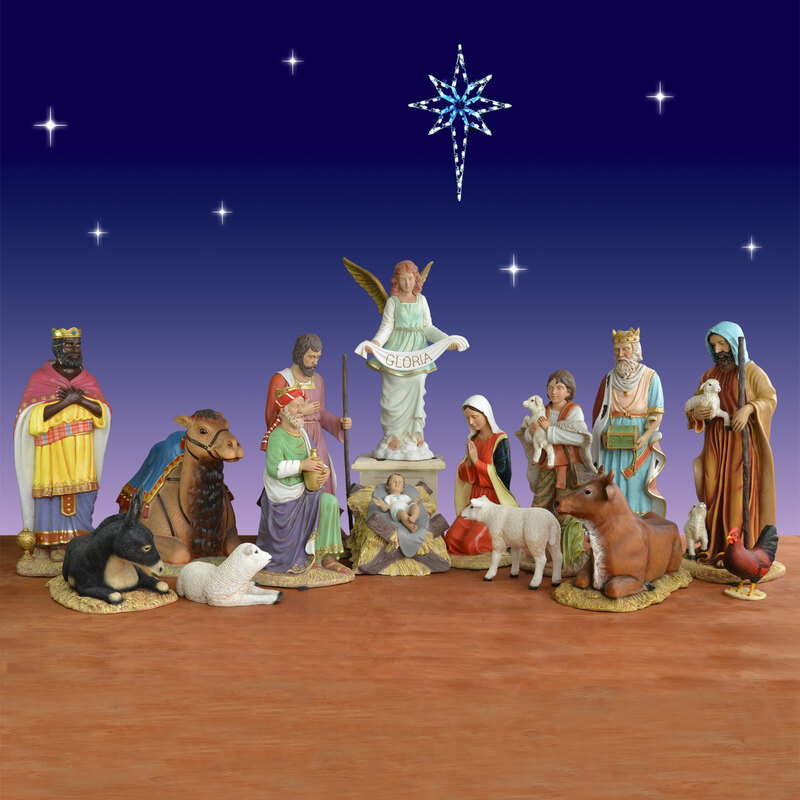 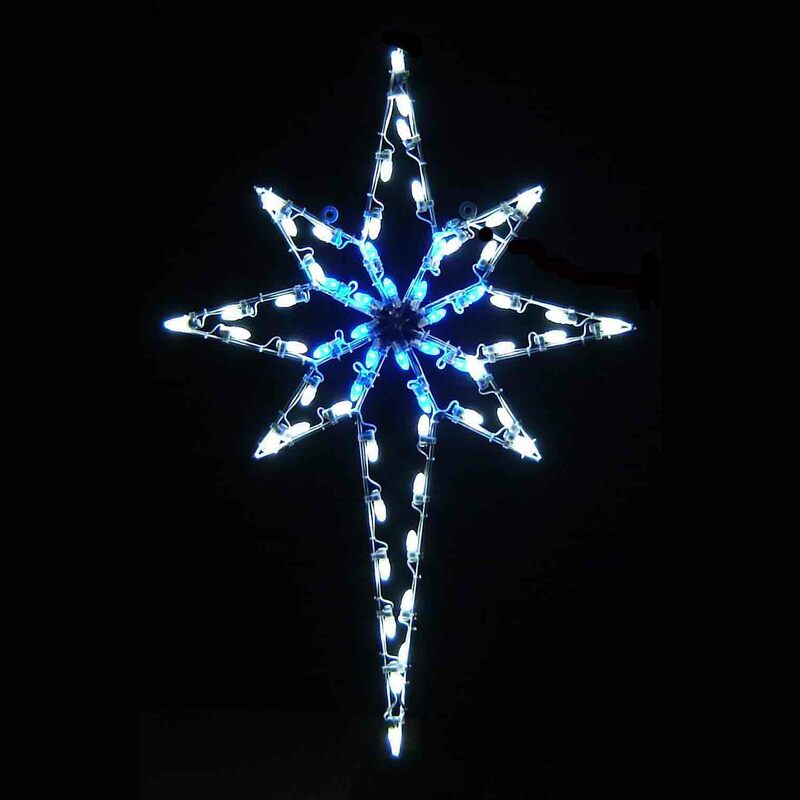 Both colorful sculptures are made using long-lasting lightweight fiberglass.